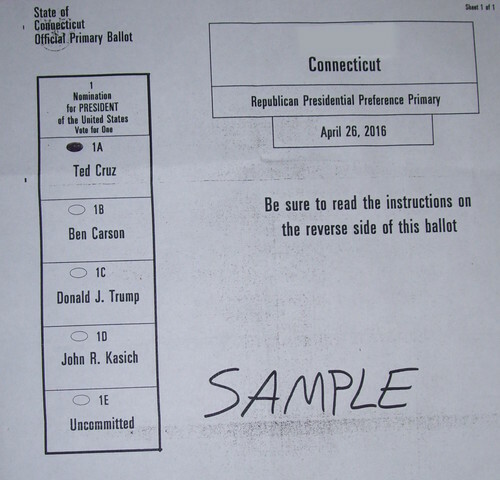 Sample Connecticut Ballot for Cruz. Sample of the ballot that will be used for the April 26, 2016, primary in Connecticut, with a vote marked for Ted Cruz.. HD Wallpaper and background images in the U.S. Republican Party club tagged: photo ted cruz 2016 presidential election connecticut connecticut primary sample ballot april 26 2016 republican presidential primary. 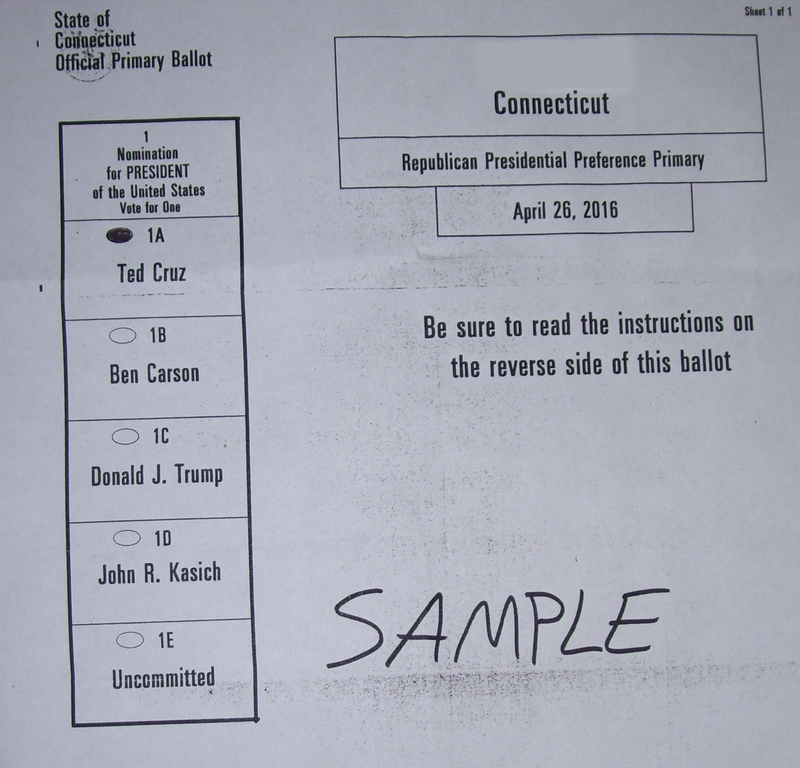 Sample of the ballot that will be used for the April 26, 2016, primary in Connecticut, with a vote marked for Ted Cruz. Stupid Taxpayer, Just Tighten Your Belt!